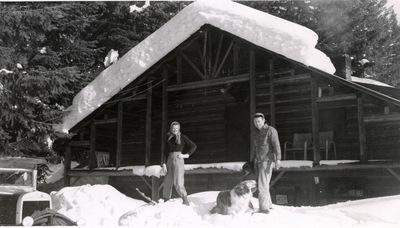 Man and woman standing in front of a snow covered cabin. "Cabins" (1950). Frederick Krueger Photographs. 23.